Is Your Cat Left or Right Pawed? Here's How to Find Out! 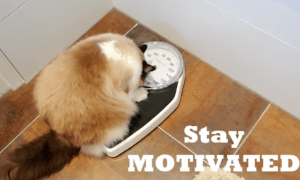 Is Your Cat Left- or Right-Pawed? Here’s How to Find Out! So, learning if your cat is a righty or lefty doesn’t really change anything…but it does solve our curiosity! Interestingly, according to a study back in 1991 at the Ataturk University in Turkey, half of cats were righties, 40% were lefties, and the remaining 10% were ambidextrous (using left and right paws equally). In dogs, a different study in 2006 concluded that half are left-pawed and half are right-pawed. 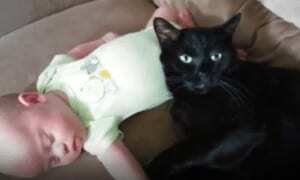 So is your cat a righty or a lefty? 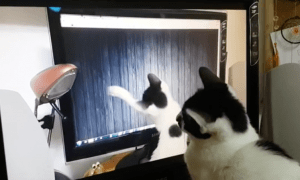 Cat Watching a Video of Himself is Surprisingly Adorable! I didn’t need this experiment because Snuggles got her water off her right paw. She didn’t drink directly from a bowl but dipped her right paw in the water and then licked it off. Never figured out why she did it but that’s how she got her water.